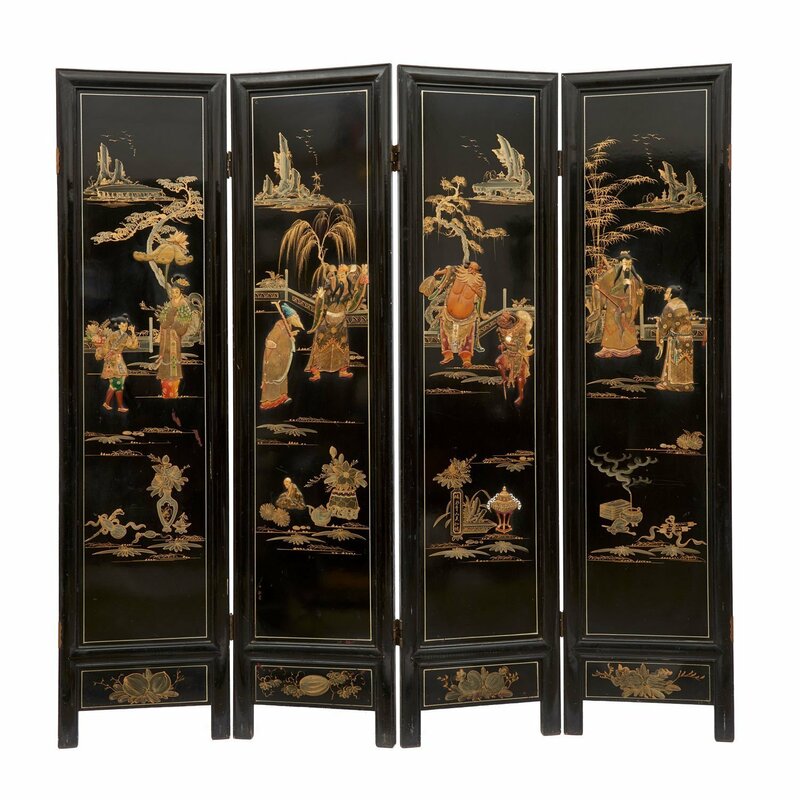 Black lacquered Chinese four panel screen decorated with polychrome lacquered figures as Chinese ladies, warriors and scholars in relief. Titled: “green waters and blue mountains, beautiful as a mirror”. C. 1960. H. : 182,5 cm; W. : 45,5 cm (4x). Shipping and handling. not included.